Hello, my name is Facundo. I am from Argentina. They are not the most beautiful models, but they are in good condition. Originally it was a 188 and the engine was rebuilt to make it 221 with an improved camshaft of a particular model that was made here sp or sprint, 275 of permanence and 108º of center to center. In Argentina they worked on the stock and designed 2 models, one that they call SP head and another MAXECONO, I can pass more information if they want it I leave some photos of what was used. I like your Falcon have never seen one of those and your rebuild details are very interesting. I have heard of the SP heads but don't know much about them. I think they bolt to the US block but the exhaust ports are different. Let us know how you are doing. 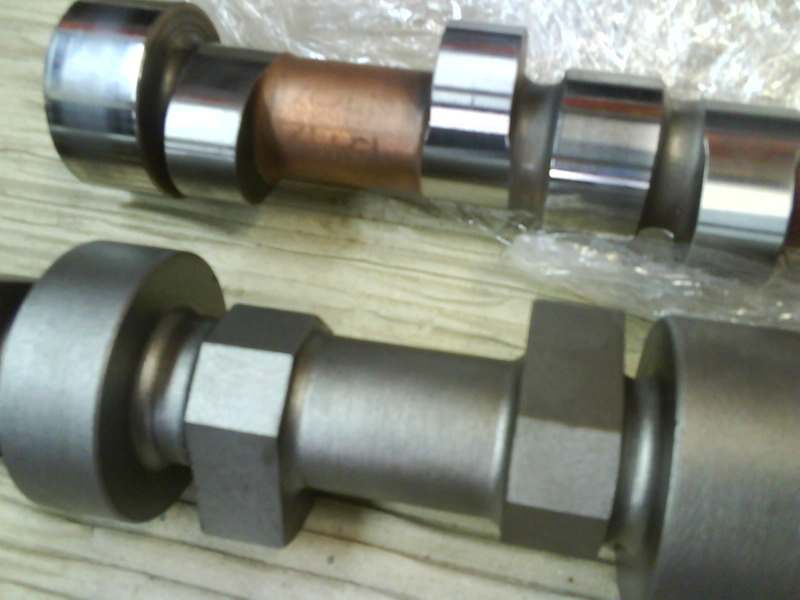 creates a publication with information about cylinder caps sp and max econo. In Argentina these 6 cylinders are used to compete in a very popular category called TURISMO CARRETERA (ROAD TOURISM). 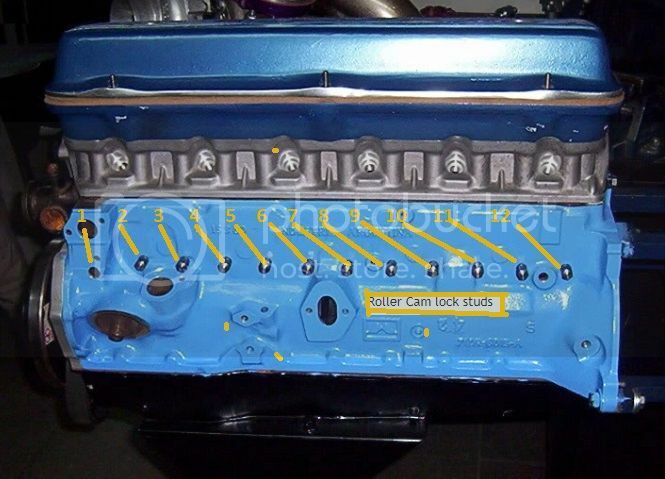 In some videos I also have information about those engines that are 3.0l (188) of 400hp. Those Falcons are incredible! And so many! The Turismo cars sound like Formula cars to me. How do you get 400 hp from 188 cubic inches? Is that with a turbo? Feel free to send any related info you like. 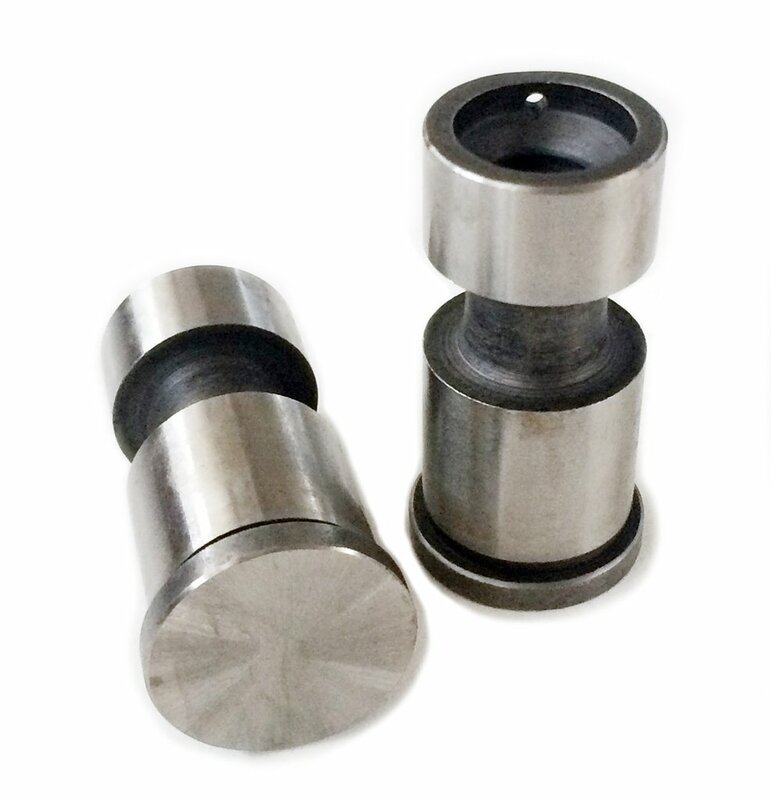 heads of cylinders similar to the SP but of aluminum TURISMO CARRETERA . I did not have any idea the bottom end could hold up to 9000 rpm. How are they built to do that? And what kind of transmission are they using. I am really enjoying this information. Are the blocks in Argentina like the US blocks or taller like the Australian block? When did Ford Argentina stop making the Falcon like yours? We had a 61 Falcon when I was a teen and the body looks like your Falcon except with some updating at the corners, grill and body trim. The last Falcon was manufactured in 1992. As for the construction for 9000rpm. As soon as I have time, I upload some of that information. I think the 200 and our 221 engines are the same, I do not see differences. Thanks for all this information and pictures. There is a lot of information here to digest. 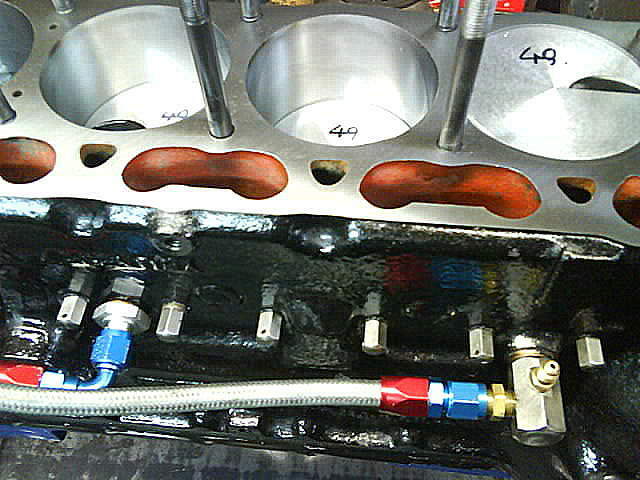 That pressure plate looks pretty interesting to me is that for racing only? if it's just for racing Some crazy people use it on the street, but it's not very comfortable to drive. They are called multi-disc. Thanks fakundo you guys are doing some fantastic work down there. I will be looking at all this for quite some time. I am practicing my English, I am 26 years old and I am a mechanical engineering student in my country, in December I am going to travel to your country with a program called "work and travel" until April. this must B about mid way in ur visit. Where are you currently located in USA? 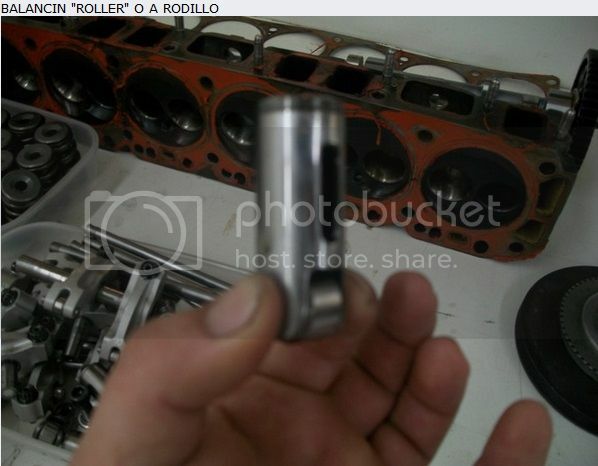 In the previous series of ACTC , did not the Turismo Carretera OHV Chevs, 1995 onwards Jeep engined Torinos and GTX's and Ford engines have ejes de levas de rodillos (roller camshafts)? I cannot see them (seguidor de leva de rodillo) anywhere . 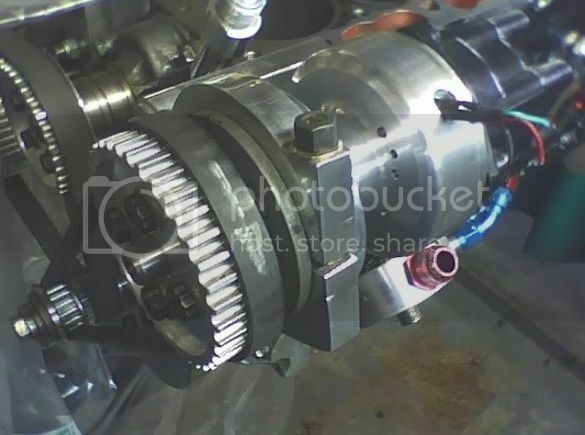 xctasy wrote: Your totally on the right track, Mike.But Isky via Pellegrini already make a cam for it, and it revs to 9500 in a 3.736" bore by 2.78" stroke 395 hp Turismo Carretera 3000 engine, and has been doing so for years. Just with one 2-bbl Weber ID carb, too. 2.just use slotted followers, and a bolt, as has been done for ages in Argentine race Falcon SP221's. What do you think the slots and Frankenstein bolts are for? Up untill recent ACTC, it had a displacement limit of 3110cc. The compression ratio in the 9.2 to 9.5:1 region. Only Weber 48 IDA carb. Common peak power is 380-395 HP at around 9500 rpm. 450HP out from a 3 liter NA engine. Those engines were running over 10300 rpm in the dyno session. Last edited by xctasy on Mon Apr 22, 2019 6:48 pm, edited 5 times in total. "...What do you think the slots and Frankenstein bolts are for?..." On all these hot motors U posted the last 2 daze I've been tryin to figure what the (in last pic) 6 chrome long headed bolts are. They appear to be at the lifter area so a roller sstyle aid of some sort? chad wrote: "...What do you think the slots and Frankenstein bolts are for?..." And 12 holes in total, with one front hole blank before the front belt driven ignition accessory drive goes on, crank sensor timed. It's a funky Grove Lock system, without having to insert and K line in brass the lifter bores like Jesel's Keyway in the phospher bronze liner system does. 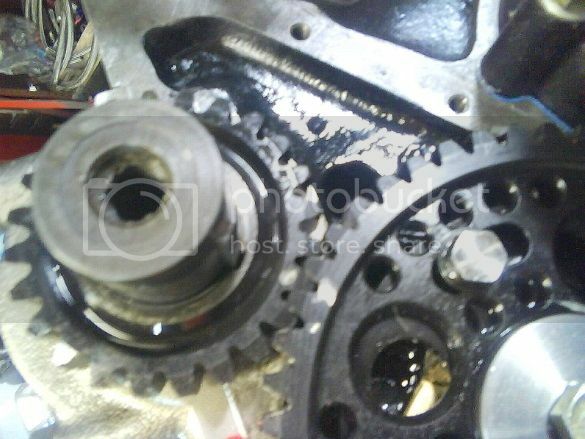 Even the cam is gear is now driven, no timing chain too. Everywhere you look, these TC SP 221 derived engines are repleate with innovation and passion. 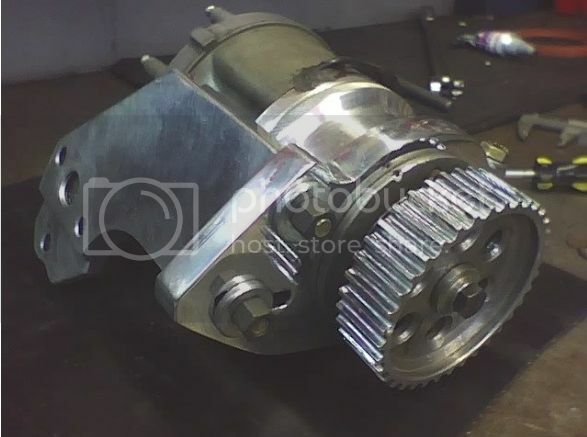 A full buildup of a TC Ford Falcon engine destroked steel crank, and fitted with shallow 1.06" compression deck Iapel 305 Chev size 3.736" pistons, and 6 inch long con rods. Last edited by xctasy on Mon Apr 22, 2019 8:21 pm, edited 4 times in total. no chain or gear? "driven"? OK, gear like the 300. I've seen the toothed belts on the imports. how do they drive the gear & where is Fecundo these daze ?